Well-loved by its inhabitants and having captivated the hearts of rulers, governors and visitors alike throughout the centuries, Mediterranean Malta continues today to steal the hearts of all those who set out to discover what the island has to offer. Remarkably rich in character, friendly in nature and surrounded by inviting waters, Malta is the perfect place to fall in love and fall in love with. Do something romantic this month – we came up with 7 inspiring ideas of our own. Take a walk by the sea along the promenade in Sliema, starting at The Strand, all the way up to Sliema – Tigne’ Point and soak up the winter sun along with the heart-appeasing view of Malta’s capital city of Valletta on the other side of the harbour. The glittering sea and the golden bastion walls are beautiful enough to captivate any heart. Don’t forget to climb up the stairs to Tigne Point bridge to catch the best view of Valletta and snap the customary shot of the city’s skyline. 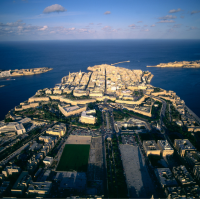 Catch the best view of Valletta from on top the bridge at Tigne Point. There’s nothing quite like making your way around the narrow, winding streets of Malta’s old capital city of Mdina. Located on one of the island’s highest points and known as the Silent City for the impending lingering silence that dominates within its walls, there’s a certain sense of romanticism evoked by the feeling that there is something interesting awaiting to be discovered around every corner. 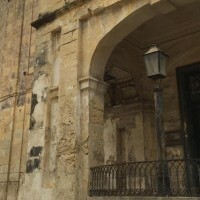 The fortified walls enclose some of the finest examples of traditional Maltese architecture and the whole place is brimming with history and character. The sense of awe is inevitably heightened once you reach Bastion Square and look out onto unparalleled island views stretching out to the sea that can only be enjoyed in such a way from this spot. Wander around Mdina’s narrow streets and experience the romantic feeling of something to be discovered around each corner. Although built in a time when the island’s shores were under threat, the Knights of the Order of St. John made sure to build a new island capital whose legacy and grandeur would stand the test of time. Home to some of Europe’s finest examples of Baroque architecture, Valletta’s rich history and culture have enabled its reawakening as the glamorous home of chic wine bars, clubs, restaurants and year-round cultural and artistic events happening within its magical setting. Throw on your best outfit, let your hair down and head here in the evening to immerse yourself in the city’s sights, smells and sensations before washing it all down with a glass of good wine. Head to Valletta to experience the sights, smells and sensations that only this city can offer. 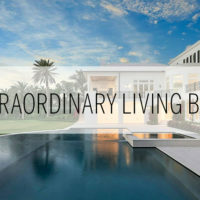 Considered to be the home of luxury in Malta, Portomaso invites you to become a connoisseur of life and enjoy some of the finest pleasures that it has to offer. 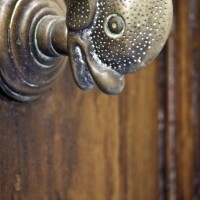 Hosting an array of the finest clubs and restaurants in Malta, this is the place to be. Sit back and relax over an exquisite dinner and a strong drink and head down to the Marina to enjoy a pleasant stroll on Malta’s most affluent ground against a background of colourful blinking lights in the distance. Take a stroll by the Marina in Portomaso. 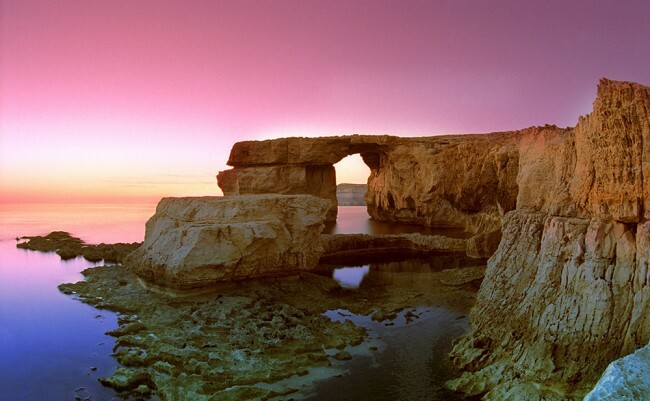 Idyllic scenery coupled with a quirky local character – it’s time to give in to Gozo’s disarming charms. Malta’s sister island is well-loved by locals and foreigners alike for its bucolic green hills, sandy beaches and seas. Gozo is the perfect place to unplug from the world and enjoy a calm weekend retreat. Despite its tiny size, there is so much to be seen and done and pretty much nothing to get in the way of relaxation. Go to see the Azure Window in Dwejra, walk round the Citadella in Rabat, explore the countryside or have a meal by the seaside. 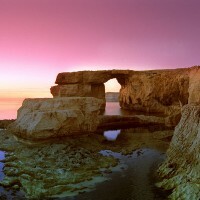 While in Gozo, go down to Dwejra, to see the Azure Window. Malta is blessed with year-round sun and warmth, meaning that some of the finest and most magical days out and about on the island can be enjoyed even in winter. Pack a picnic blanket and a wholesome, home-cooked meal to enjoy in the fresh air. Make your way to Għajn Tuffieħa Bay to catch a romantic sunset like no other on the island, or get adventurous and find your own secluded sunny spot. Pack a picnic blanket and enjoy a home-cooked meal out in the fresh air. Largely unvisited and undiscovered, the Three Cities of Senglea, Cospicua and Vittoriosa in the South of Malta are the perfect place to fall in love with the authentic local lifestyle. Walking around the unexplored streets and alleyways of these three towns, there is much to see and take in. Make your way to the Marina in Vittoriosa, lined with dining establishments just across from the pleasant sight of luxurious yachts berthed in the harbour. Make your way to the Marina in Vittoriosa and enjoy the pleasant sight of the berthed yachts.